It should be remembered that from April the ULEZ will mean older cars and vans will have to pay a significant extra pollution.charge inside the congestion zone. At the same time minicabs will lose their exemption from the congestion charge. This is bound to reduce the volume of traffic. The road closures needed for the Holborn station upgrade will reduce the road space in the area and rule out additional stands there. I don't think there will be any great change to the number of vehicles in the congestion charge zone as a result of the ULEZ. Most vehicles entering the zone during controlled hours I suspect are already compliant. As for PHVs having to pay the congestion charge, this I don't think will make a huge difference. This is because the charge is per day, and not per journey. Once a PHV has paid the CC for the day, there is every incentive to stay in the zone, gain more journeys and 'make the most of having paid it'. You may even find an increase in the number of PHVs for this reason. Let's wait and see, but I don't think these changes will make much difference to the number of vehicles in the congestion charge zone, but I would be delighted to be proved wrong. Pretty sure there will be PHV levy to cover ... so after many pickups ... They will probably end up making more money. Thanks for that. Great stories of an interesting route. Great story - that'd be exactly how I would have expected it to have operated. The old Surrey Docks trick happened in crew days too, and was even more contentious when you consider the conductor's job, the only difference being it was TL crews doing the complaining! Got to say, I saw something similar in the opposite direction between a 1 and 47 both bound for Catford, and the one in front 'got lost' and managed to do a complete circuit and get behind! In 47 to Farnborough days, the TL buses turned at Bromley Garage used to wait for the TB bus from Farnborough to arrive before pulling out! If the TB bus had a crew change it tended to b*gger up their little scheme, though! 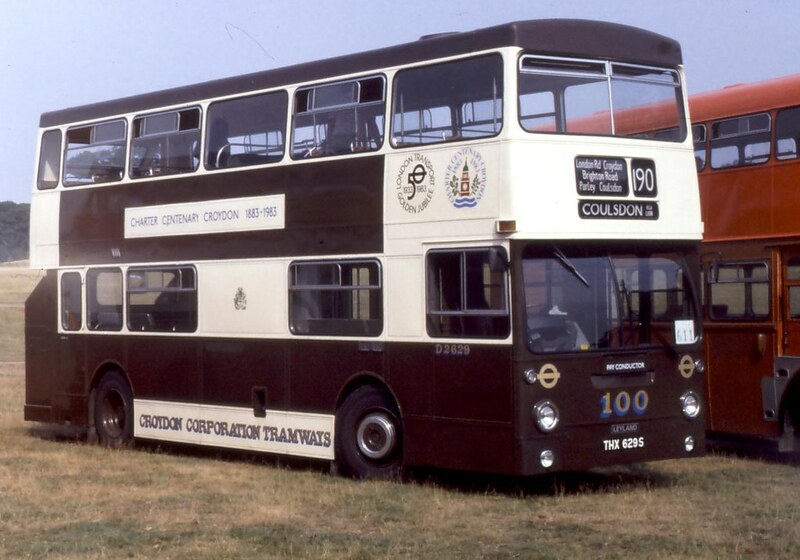 Petts Wood shorts on the 94 were an even bigger bone of contention between TL and TB though! Wasn't a very balanced freq thou. Surely it would have been better for the TB one to be scheduled 7-8 mins before an NX one departed and vice versa to give an even service between SQ and Tr.sq. Route 1 was extended to Bromley to replace (then) route 199 in 1987. Already covered before my reply, but great minds think alike.